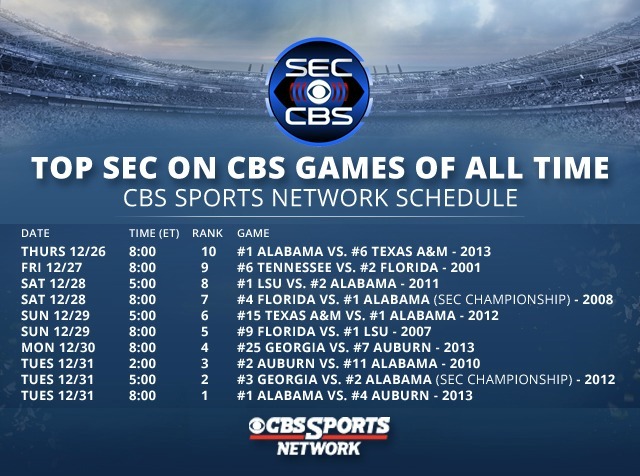 It’s Alabama’s world, and CBS is just living in it. “ALL TIME” in the sense of “since 2000”, that is. Alabama seven times out of ten? Sheesh, guys, you need to get out more. Texas A&M is on the list more than Steve Spurrier is. Now that’s tradition. I admit I’m biased, but how in the hell do you leave this game off a list like that? It’s good to know that Mark Richt’s lost control again. Georgia safety Josh Harvey-Clemons and CB Sheldon Dawson suspended for bowl game due to violation of team rules. UPDATE: This is for everyone who likes to jump to conclusions. Sources tell me suspensions are due to academics but school cannot and will not confirm. The next time someone from Georgia Tech whines about how the football program can’t compete because of academics, hit ’em in the mouth with this. Of course, be prepared for some Olympics-level spin when you do. We await the next excuse. In related news, General Francisco Franco is still dead. With any luck, they won’t hire a new offensive coordinator in Gainesville until the week of the Orange and Blue game. With Florida’s base of talent and deep pockets, the OC job remains attractive. After all, before Pease, Florida’s three previous offensive coordinators — Dan Mullen, Steve Addazio and Charlie Weis — left for head coaching jobs. … is a consistent, functioning offensive line. He’s right. For whatever reason, this regularly seems to be an open issue for a Richt offseason. What makes it even tougher is that it also seems when there are years when the line appears to be a strength going into the season, it doesn’t live up to expectations. 2013 has been strange. There have been times when the o-line looked flat-out dominant, and there have been times when it’s looked like it can’t get out of its own way – sometimes both in the same game. If there was one recurring flaw, it was the inability to handle speed rushers from the tackle positions. Which makes that Theus-Houston combo Bernie sets out there for next year a little nerve wracking. Needless to say, some improvement is mandatory. This really is the only way to handle a fall wedding.